It can be challenging to remain objective when surveying the work of any artist you follow and consume with fervor with each and every release and even more so with the uber prolific, Robert Pollard. Since releasing his first proper solo LP, 1996′s masterwork Not In My Airforce, Pollard’s solo output has been a considerably consistent affair. 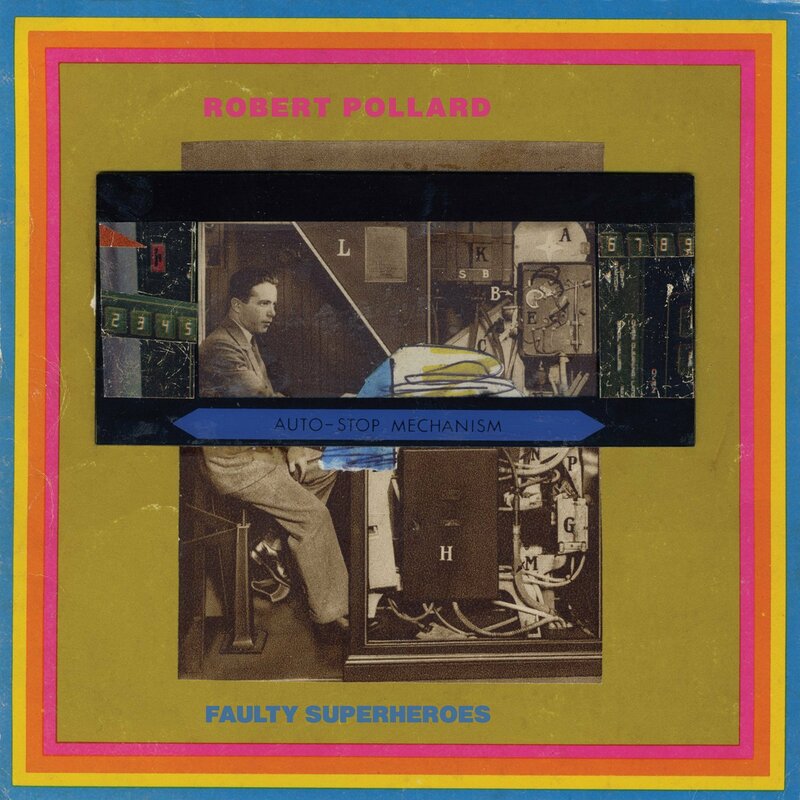 Earlier this week, Robert Pollard released his 21st solo LP, Faulty Superheroes which finds him casting off some his most accessible and instantly lovable song cycle in recent years. The album opens with a dazzling power pop number, What A Man which wouldn’t have felt out of place on an early 2000′s GBV album like Universal Truths And Cycles. Pollard delivers a concise 30 minutes of catchy as hell and stylistically varied off kilter guitar pop with flourishes of prog, British invasion pop, psychedelic folk. With tracks like the peppy ballad Up, Up, Up, the Kinksesque, Take Me To Yolita, and the charging fuzz rock of Mozart’s Throne Faulty Superheroes finds Pollard, distilling 12 hook laden rock songs that maintain the mid-fi aesthetic he established during GBV’s “Doug Gillard Years” and that he return to earlier this year with Ricked Wicky. Keeping up with the frantic pace in which Robert Pollard releases music can be a daunting task even for the die hard, but when he goes and delivers a record as well crafted and instantly addicting as Faulty Superheroes it’s a testament to a man that continues to refine his craft. This time around he’s turned in one of his finest solo offerings to date. A record choc full of quantum sized pop hooks and sublimely beautiful lyricism.